The inability of most municipalities in Mpumalanga to collect revenue from consumers has forced them to write off R6.4bn of its R8.4bn debt. This debt includes the non-payment of rates and taxes, water and electricity. 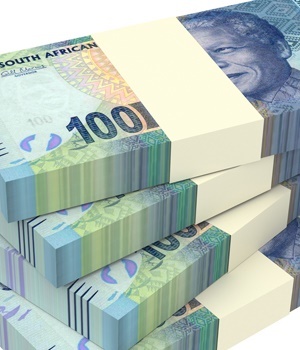 Mpumalanga's Portfolio Committee on Cooperative Governance and Traditional Affairs (Cogta) heard this week that the financial crisis in municipalities was due to inaccurate debt collection systems, which resulted in escalating debts to creditors. The figures only go up to June last year. "By now, this figure could have risen with millions more," said DA spokesperson for Cogta, James Masango. According to Masango, the financial crisis which most of the municipalities find themselves in can be directly linked to corruption, the lack of skills to improve debt collection and an increasing attitude of non-payment among consumers. The committee was informed that the two worst-performing municipalities in Mpumalanga were Govan Mbeki in Secunda and Emalahleni in Witbank. Masango said in Emalahleni, the defective revenue generation systems resulted in a situation where the municipality is owed R3.6bn as at September 2018. This situation resulted in the council not being able to service their Eskom account, which had increased over the last three years from R900m to a staggering R2.1bn. In Govan Mbeki, residents owe the municipality R1.2bn. "Once again, the council does not have the skills, or the political will, to collect this money. "This resulted not only in an outstanding Eskom account of R896m, but also millions being owed to Rand Water," said Masango. According to him, the residents suffer due to Rand Water restricting the water flow to the municipality. Masango, however, admits that municipalities are actually stuck in a catch-22 situation. "Consumers don't pay. So where do councils have to find money to service its debtors."